The Heart of A Mom is a free online resource destination created to encourage and inspire Moms of all ages as they pursue the most important role in their life—being a Mom. Created by Dr. Joe White, President of Kanakuk Ministries, Heart of A Mom hosts Gathering events across the United States every year, welcoming women from all walks of life to an event created especially to thank Moms for all they do. 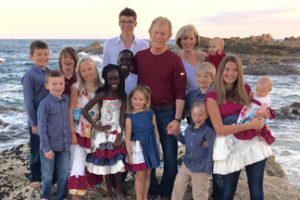 With over 45 years of marriage to his wife Debbie-Jo, and as the father of four children and “Pops” to 14 grandchildren, Joe brings his hallmark advice and care for others to each Heart of A Mom gathering—sharing the many lessons he’s learned on his journey as a Husband, Dad, and Grandparent. Thank you for visiting The Heart of A Mom—it is our greatest hope that these resources inspire and encourage you to continue to pursue what is best for your kids! If you would like to contact us with any questions or comments, please use the form below.